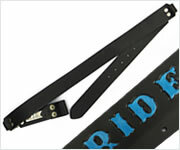 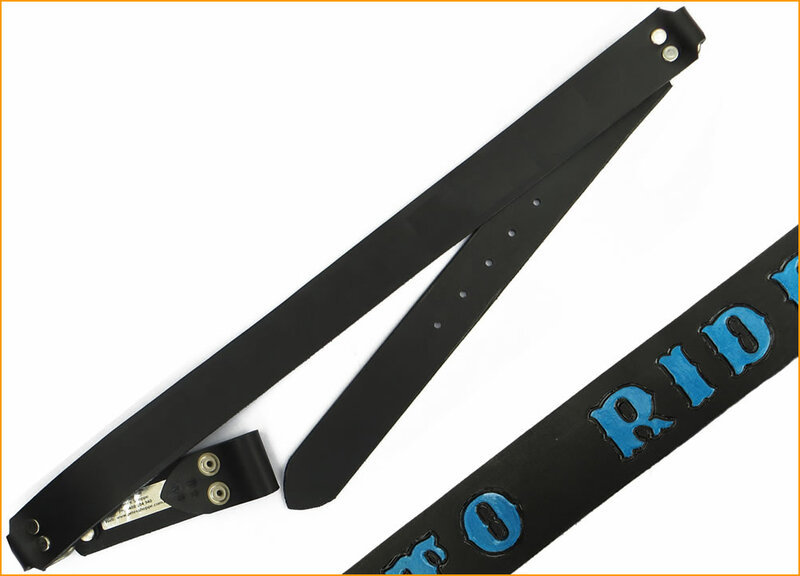 4.5 - 5mm thick Black Cowhide belt with press stud closure. 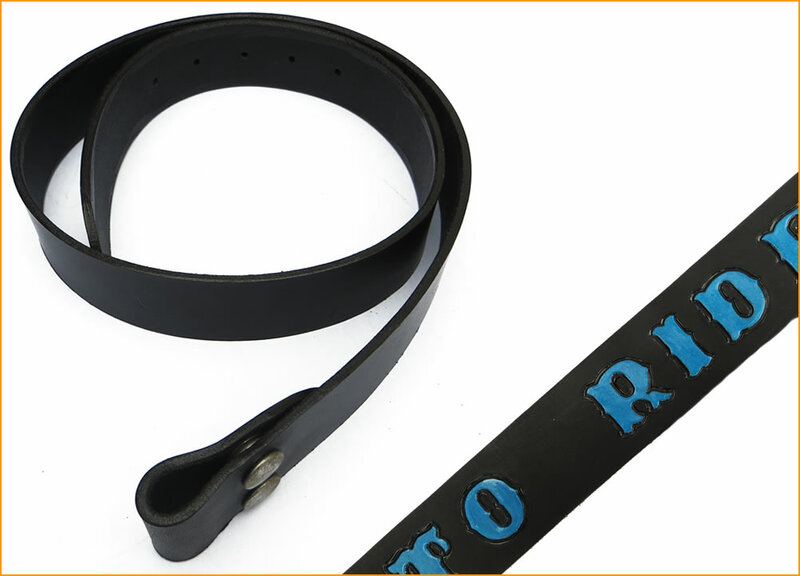 Manufactured in-house, all our belts are cut from full thickness cow hides. 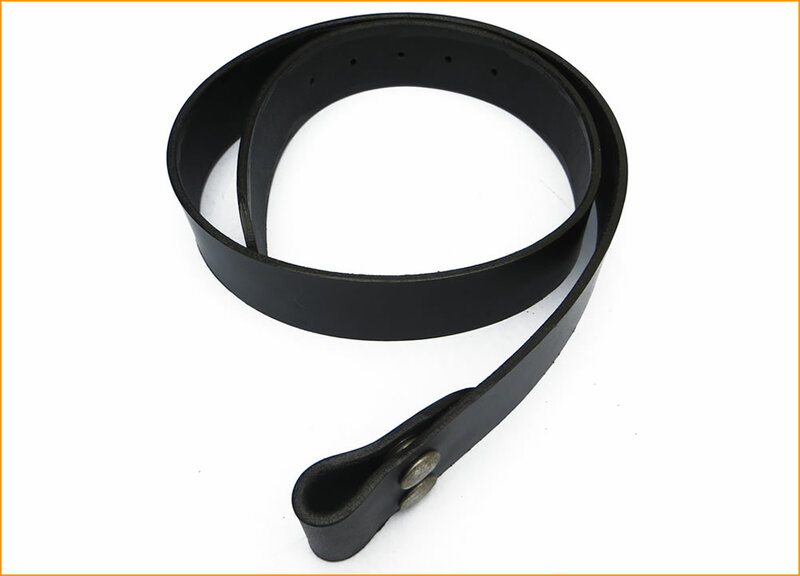 Waist measurement required for order. 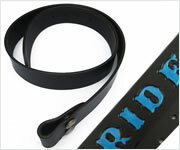 "Regular" length is up to 42in. 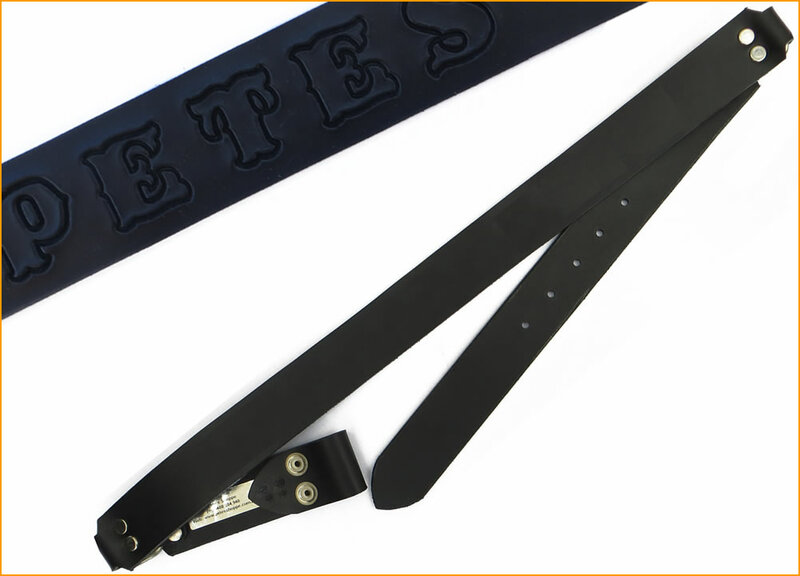 "Long" belts are 44in. 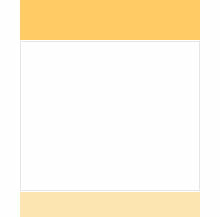 to 55in. 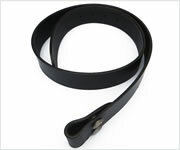 Belt widths are 25mm, 32mm and 38mm.